Tihar Jail is known to every Delhites but how many Delhiwalas are aware about Tihar Jheel. Not many, I guess. It is another lake in Delhi that we lost. 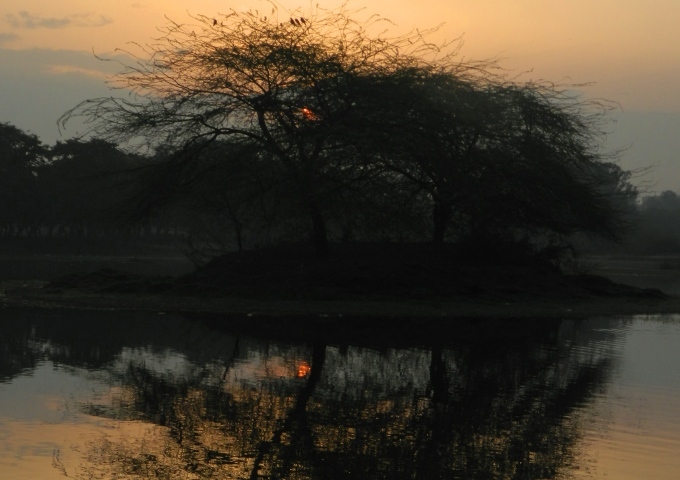 Tucked away in a corner of Hari Nagar in West Delhi, the Hari Nagar Lake or Tihar Jheel was a serene wetland bustling with migratory birds basking in the winter sun not many years ago. During the years between 2011 and 2016, I personally counted over 50 migratory and resident birds that made the Jheel and the surrounding park a vibrant bird-spot. Among the water birds Painted Stork, Indian Spot-billed duck, Northern Pintail, Black-winged Stilt used to throng this lake in large numbers. The year 2012-13 was the most exciting when one could even spot Mallards and Great Cormorants here. Tihar lake also used to have a vibrant winter, and it was no less in heroneries in later months. Grey Herons, Pond Herons, Egrets and occasional Purple Heron sightings always used to bright up the lazy walks around the lake. 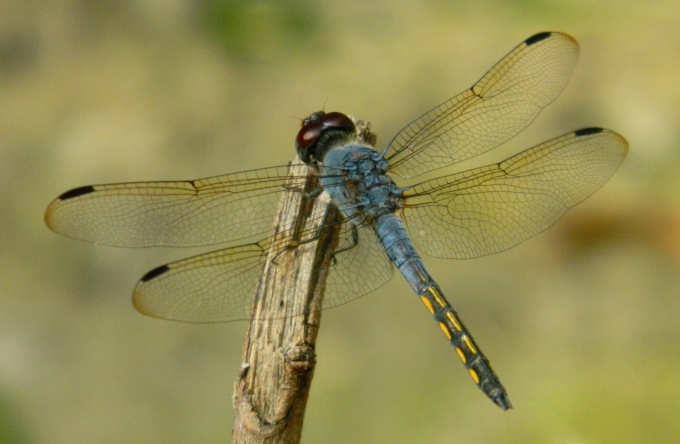 A good odonate diversity was once the characteristic feature of Tihar Jheel. The omnipresent resident birds in the surrounding trees of the lake were Green Pigeons, Red-vented and Red-whiskered Bulbuls, Drongos, Barbets and Shikra. Surprisingly the Lake was good for Odonates as well and during the same years, I have encountered over 15 species of dragonflies and damselflies. All of that is past now, and the lake today is gone. What happened? Not exactly the damp-yard then play-ground then residential-commercial plot story like the fate of most wetlands of Delhi. The residents here did fight for the lake (at least to prevent its capture by the developers). A Google Map screenshot (Left) shows the actual boundary of the Lake in its original glory. Recent satellite image (Right) reveals the rapidly shrinking lake. However, the thriving ecology of the lake is no more. There were talks of revival of the lake few years back but till date nothing much has been initiated. The institute which was supposed to execute the restoration plan did not even bother to respond to our queries. The supposedly excellent revival plan only exists in some old newspaper reports today. It seems the lake also does not feature in recent Government programmes aimed at reviving the lakes in the Capital. On this World Water Day, we can only hope that in future the Tihar Lake will be back again, the Jheel where I saw my first Red-breasted Flycatcher.